The Bharatiya Janata Party (BJP) on Friday questioned Bihar Chief Minister Nitish Kumar's "silence" over Rashtriya Janata Dal (RJD) Chief Lalu Yadav's daughter Misa Bharti's money laundering case, and asked him to come out openly and order a proper investigation into the matter. Senior BJP leader Sushil Kumar Modi told ANI, "The land has been purchased under the name of Lalu Yadav's daughter under highly suspicious circumstances. I suggest, the Central Bureau of Investigation (CBI), ED should take strict against Bharti. 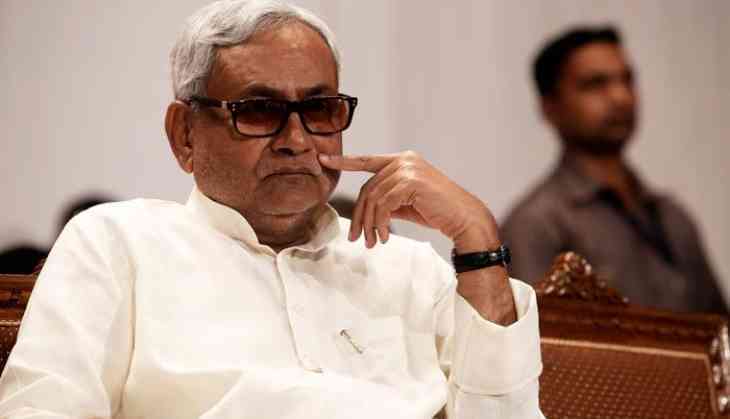 Nitish Kumar who has kept silence on the issue should also come out openly and take strict action her in connection with the matter." Echoing similar sentiments, BJP leader Nand Kishore Yadav said the latest reports over the dealings of Misa Bharti has proved that she has accumulated illegal fund from anonymous companies. "Now, the Bihar Chief Minister has to break his silence on the issues related to his Cabinet Ministers, adding that the government should take strict action against Misa Bharti," Yadav told ANI. Leading English daily accessed papers that document land purchases in Delhi's Tony Sainik farms and Bijwasan luxury farm enclave - two deals that point to alleged Misa Bharti is involved in money laundering matter on a massive scale.